Our end of the year Talking Points newsletter reports on U.S.-China notables who passed in 2017. Thanks to those who responded to our call last week to support the institute with a tax deductible year-end contribution. There’s still time to donate, just click here. Please know that we need and value all gifts. Thank you. 2017 has been a remarkable year with much to celebrate and much to lament. A new American leader took power and a Chinese one demonstrated his dominance over the party-state. One of those leaders is under investigation, the other is investigating nearly everyone else. Bi-lateral trade and investment flourished, though frictions also flared. Jockeying in contested waters continued, with both the U.S. and China carrying out exercises with friends. The two powers are frustrated by a tiny and poor country which has nuclear weapons and increasingly capable missiles. Chinese continue to watch and invest in American films and American filmmakers are increasingly obsessed with satisfying Chinese censors and filmgoers. Millions of Americans and Chinese visited each other’s countries. Hundreds of thousands of Chinese studied in the U.S. About 72,000 Americans were working or studying in China in 2016. Last year, 80,640 people legally immigrated to the U.S. from China and Hong Kong. Our countries are intertwined. In this issue of Talking Points, we note the passing of newsmakers, scholars, journalists and others who have influenced the direction of U.S.-China affairs or have helped others understand contemporary China. Four of these individuals merit special notice: Liu Xiaobo, Zbigniew K. Brzezinski, Qian Qichen and William Theodore de Bary. Three were scholars whose influence was felt far beyond academia. Liu became China’s best known dissident. His clear voice and determined stand earned him worldwide respect and the Nobel Peace Prize. Brzezinski was a cold warrior who helped design American foreign policy and as President Jimmy Carter’s national security advisor helped the U.S. and China normalize relations. De Bary stayed in academia, but devoted much of his energy to bringing the study of China and the rest of Asia into the mainstream. Qian was the most influential Chinese diplomat of his generation, working to end China’s post-Tiananmen crackdown isolation. He was also assigned the task in 1992 of telling North Korean leader Kim Il-sung that China would normalize relations with South Korea. Liu Xiaobo was a prisoner of the Chinese state when, in 2010, he was named the Nobel Peace Prize recipient. 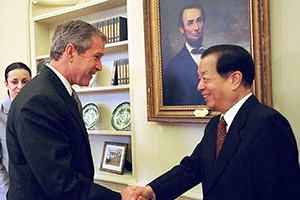 The prize committee noted, “For over two decades, Liu Xiaobo has been a strong spokesman for the application of fundamental human rights in China.” It was that advocacy that led the Chinese party-state to imprison Liu in 2008. The Chinese government responded to the award announcement by imposing economic sanctions on Norway and pressured countries to stay away from the award ceremony. It further denied permission for his wife or others to go to receive the prize on his behalf. Not long before his death from liver cancer, foreign specialists examined Liu, but he was not permitted to go abroad for treatment. 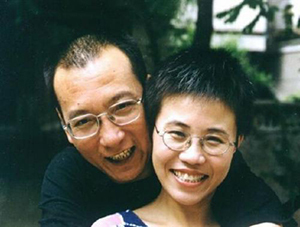 His wife, Liu Xia, endured unofficial house arrest while Liu was in prison and since his death has been kept in virtual seclusion. She has not been charged with, let alone convicted of, any crime. Born in 1955, Liu came to prominence as a literary scholar. He was inspired, though, by the example of students who in spring 1989 occupied Tiananmen Square to call for freedom of speech and travel and to oppose official corruption and rising prices. He returned to Beijing from the United States to join the protests, becoming a leader. He was among those jailed after the crackdown, but he emerged as committed as ever to promoting human rights and democracy. Two additional prison stints didn’t change that. In 2008, Liu was the lead author of Charter 08. It marked the 100th anniversary of China’s first constitution and argued that China’s problems could largely be attributed to the autocratic party-state. Charter 08 called for the embrace of human rights and the establishment of a democratic system of government. Liu was taken away on December 8, 2008 and held until his death in July. He would have turned 62 this week. Click here for our full obituary for Liu Xiaobo and additional resources. U.S. Sec. 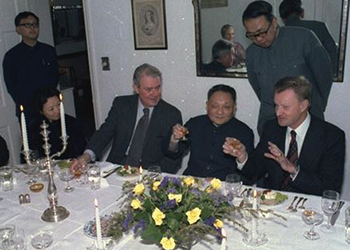 of State Cyrus Vance, Deng Xiaoping, and Zbigniew Brzezinski dining at Brzezinski's home, Jan. 1979. Zbigniew K. Brzezinski was born in Poland in 1928. He earned a doctorate at Harvard and subsequently taught there and at Columbia. In the mid-1960s, Brzezinski joined the U.S. State Department and won the ears of Pres. Lyndon Baines Johnson and later Democratic presidential candidate Herbert Humphrey. Shared worries about Soviet Union intentions helped propel the U.S.-China relationship forward, but Brzezinski expected that, over time, positive U.S.-China ties would depend on more than a partnership against Soviet aggression. In 1976, Brzezinski became Jimmy Carter’s principal foreign policy advisor and when he became president was named national security advisor. Qian Qichen (钱其琛), b. 1928. Qian was a career diplomat who rose to serve on the Communist Party’s Politburo 1992-2002 and was Minister of Foreign Affairs 1988-1998. He was posted to the Soviet Union in 1954-1964 and 1972-1982. He was heavily involved in preparing for the return of Hong Kong and Macau to Chinese control. It fell to Qian to deal with the United States and other countries after the 1989 Tiananmen crackdown. He negotiated with Bush and Clinton administration officials seeking to get economic sanctions against China lifted. He insisted, however, that outside pressure wouldn’t change China. In an Oct. 1989 speech in New York, he took issue with those who said,"Sino-U.S. relations cannot be repaired unless China does something… Exponents of such a view have completely confounded right and wrong… [T]he current difficulties in Sino-U.S. relations have arisen not because China has done anything to damage the U.S. interests, but because the United States has applied sanctions against China… [I]t is entirely China's internal affair as to what policy and move[s] it should adopt in handling its purely domestic matters." At the time of that speech, Qian’s son, Qian Ning, was in his first semester at the University of Michigan. In a 1996 book, Studying in America, he wrote about his first days on campus, "This world in front of my eyes was so different from the world on Tiananmen Square, that it was impossible to connect them together in my mind, but at that moment, I understood a simple thing. We Chinese -- at least the younger generation of Chinese -- can have a different kind of life, free from the repetitious political movements in the past and life-and-death struggles." After graduate school, Qian Ning returned to China, working for the accounting consultancy Coopers and Lybrand (now part of PwC). Qian Qichen was given a state funeral. President Xi Jinping and his predecessor Hu Jintao were among those attending. William Theodore de Bary, b. 1919. 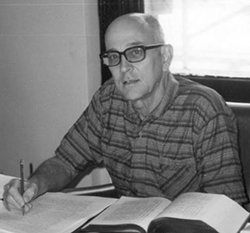 “Ted” de Bary was among the most influential American scholars of China. Generations of English-reading students used the Sources of Chinese Tradition anthologies he edited of translated Chinese philosophical, religious and political writing. It was just one of the dozens of books he published during his decades as a Columbia University faculty member. President Barack Obama recognized his contributions with the National Humanities Medal in 2013. 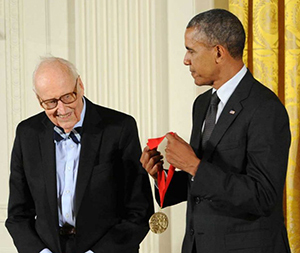 Obama said, “de Bary’s efforts to foster a global conversation have underscored how the common values and experiences shared by Eastern and Western cultures can be used to bridge our differences and build trust.” Among his other awards was the 2016 Tang Prize for Sinology (which included a cash award of $1.24 million). Cheng Ch’ing-wen (Zheng Qingwen 鄭清文), b. 1932. Tzeng was a well-known Taiwanese writer who was part of the nativist literature movement. He paid his bills working at a state-owned bank, but wrote for more than forty years. A collection of his stories were translated into English as The Three Legged Horse in 2000. The collection looks at how modernization affected Taiwanese villages and villagers. March Fong Eu (余江月桂), b. 1922. 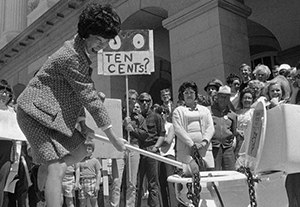 Fong Eu garnered headlines shattering a toilet on the steps of California’s capital in 1969 (to protest the discrimination represented by the state government having pay-toilets, but free urinals) and ended up becoming the first Chinese American elected to statewide office. Fong Eu grew up in a laundry, but earned a doctorate at Stanford. In 1967 she became the first Chinese American elected to the state assembly and in 1974 became the state’s first female secretary of state in 1974. She was re-elected four times. As Secretary, Fong Eu visited Taiwan several times, spending one vacation there in 1988 studying Chinese and brush painting. Clare Hollingworth, b. 1911. Hollingworth had just become a reporter when she stumbled on the massing of German forces on the border with Poland. Her story for The Daily Telegraph on the upcoming outbreak of World War II in Europe was a giant scoop. She later reported from the Middle East and South Asia. She opened The Telegraph’s Beijing bureau in 1973. 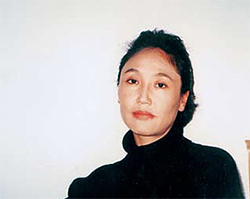 She published Mao and the Men Against Him in 1985. In 1989, she was in Tiananmen. Only failing eyesight slowed her down. She remained a fixture at the Hong Kong Foreign Correspondents Club past her 100th birthday. Jean-Pierre Lehman, b. 1945. Lehmann specialized on Japan and China and taught international business and political economy at several schools including the Stockholm School of Economics, INSEAD, the University of Stirling and the International Institute for Management Development in Switzerland. He also worked as a business consultant. He wrote for both academic and general publications. He established The Evian Group in 1995 to promote trade and to combat protectionism and chauvinism. Robert Storey, b.1954. Storey is best-known for writing guidebooks on Taiwan, Beijing, Mongolia and other Asian destinations for Lonely Planet Press. He lived for the past three decades in Taitung, Taiwan. As David Fraser notes, Storey’s friends think he kept the Taitung section of his guidebooks short so as to keep the tourists away. After he stopped travel writing in about 2001, he focused on computers and opened a guest house. He gave up his U.S. citizenship in 2016 to become a Taiwan citizen. 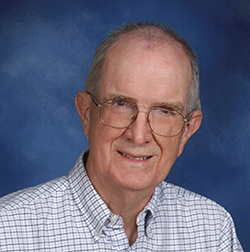 John E. "Jack" Wills, Jr.
scholar, whose work was embraced by other specialists and by the general public. From his first book, Pepper, Guns, and Parleys: The Dutch East India Company and China, 1662-1681, Wills was looking at cross-cultural communication. He went on to be a pioneer in the new field of global history. His book 1688: A Global History was a best-seller and was translated into several languages. He also believed in using biography to teach history, drawing on his "Chinese Lives" course to Mountain of Fame : Portraits in Chinese History. Wills was also interested in what policymakers could take from the study of Chinese history, working with the U.S.-China Institute and pulling together leading policy analysts and historians for Past and Present in China’s Foreign Policy: From “Tribute System” to “Peaceful Rise". Click here for our full obituary. Yang Tongyan 杨同彦, b. 1961. Yang was a long-time democracy activist who the government twice jailed for much of his adult life. In 1990, he was jailed for ten years for criticizing the crackdown on the Tiananmen movement. He was detained for two months in 2004. In 2006 he was sent to jail for twelve years for poems and other writings criticizing the Chinese Communist Party. Yang had nearly completed that sentence when he died from brain cancer. He had been given medical parole in August and underwent surgery then, but passed away in November. Yangdon (Yangzhen 央珍), b. 1963 Perhaps the first prominent female Tibetan author, Yangdon’s novel Wu xingbie de shen 无性别的神 (A God Without Gender) grew out of a short story and was later turned into a 20 part television series. She edited the journal Tibetan Literature and worked to bring attention to other women writers. Marilyn B. Young, b. 1937. Young was a historian of America’s relations with Asia. She began working on U.S.-China ties, but became better known for her work on America’s involvement in Vietnam. Her first book was The Rhetoric of Empire: American China Policy, 1895-1901 (1968). In it she described the religious and commercial interests that pushed the McKinley administration towards a more active role towards China, an effort that yielded John Hay’s Open Door notes and participation in the anti-Boxer intervention. She also edited Women in China: Studies in Social Change and Feminism (1973). Young taught at the University of Michigan and at New York University. Yu Kwang-chung (Yu Guangzhong 余光中), b. 1928. Born in Nanjing, Yu went to Taiwan in 1950 and taught for many years in Kaohsiung at National Sun Yatsen University. A prolific poet, essayist and commentator, he was called a voice of the displaced Chinese. His nostalgia for China runs through much of his poetry and several of his works, such as Homesickness (鄉愁) are included in anthologies. 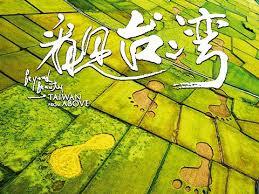 Taiwan’s government recognized him with a poetry award in 1989 and the Ministry of Culture’s top award in 2014. Yu Zhijian (余志坚), b. 1964. Yu was an elementary school teacher from Hunan. He was one of three men who, during the 1989 demonstrations, defaced the giant portrait of Mao Zedong’s that hung at Tiananmen. Demonstration leaders condemned the act and had them turned over to the authorities. Yu was given a life sentence, but was released in 2000. In 2006, he was again detained after he joined others in a hunger strike to protest the jailing of writer Yang Tianshui. In 2009, he and others escaped to Southeast Asia. 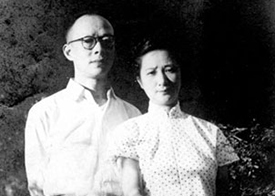 Yu and his wife sought and received asylum in the U.S.
Zhou Youguang (周有光), b. 1906. Zhou wore many hats over the course of his long life. He studied economics in Shanghai and in Tokyo and Kyoto. During the war with Japan, Zhou worked for a bank and the Nationalist Government. After the war he worked for Sin Hua Bank 新華銀行 in the U.S. After the founding of the People’s Republic, he returned to China and taught at Fudan University. In 1955, Zhou was assigned to lead a group to increase literacy by reforming the Chinese language. The group formalized the simplification of some Chinese characters and the adoption of the pinyin romanization system. 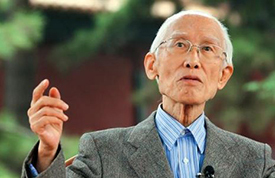 His education and time abroad caught up with Zhou during the Cultural Revolution. In his 60s, he was sent to labor camp for two years. Zhou wrote many books and in his 70s, he assisted in the effort to translate the Encyclopedia Britannica into Chinese. Age emboldened Zhou. He was over 100 and still blogging when interviewed by NPR in 2011. He called for China’s government to reverse its official evaluation of the Tiananmen protests and said that by ordering the crackdown, Deng Xiaoping destroyed his reputation. 2017 is over and the Year of the Rooster has just a few weeks left as well. We hope it has been a good year for you and we wish you the best possible 2018.